The MSW pyrolysis plant is a high-efficiency and high-quality waste to energy plants which is very popular in Malaysia now. It turns municipal solid waste (waste tyres, plastic, rubber wastes, oily sludge, etc) into fuel oil and carbon black through the process of pyrolysis. The whole process is zero-pollution and harmless to the environment. As one of the leading pyrolysis equipment manufacturers, Beston MSW pyrolysis plant aims to help dispose of more solid waste in the whole world. Beston charcoal making machine can process all the organic wastes, including green waste, agricultural waste, and household waste into bio-charcoal. Through the process of carbonization and pyrolysis, the waste is carbonized and de-sulfurized and finally you can get clean charcoal without creating any harmful emission to the air. We have the original designs for this machine, such as the One Fire Two Steps, etc. It is another hot-sale plants in Malaysia waste to energy industry. Waste segregation is the first step of the working process of the waste to energy projects. Beston applies the world top sorting technologies and advanced sorting devices to the machine, such as the comprehensive winnowing machine, screening machine, magnetic separator, etc. All the municipal solid waste like plastic, metals, organic waste can be sorted clearly by this machine. 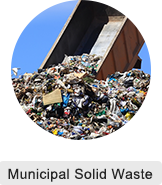 It enables the subsequent procedure of waste to energy much easier. Beston Machinery, one of the leading waste to energy plant manufacturers in China, is a high-tech enterprise which integrates scientific research, manufacturing, sales, service, importing and exporting together as a whole. We have a strong scientific and research team which is engaged in doing research on the technology of waste to energy pyrolysis and the supportive environmental protection equipment to recycle municipal solid waste, household waste, oil field waste, industrial waste, agricultural waste into useful resources. The main products of Beston Group are MSW pyrolysis plant, charcoal making machine and automatic waste segregation machine. We value innovation and 70% of our design is original and unique in the whole country. We have professional research, design and production team, specialized and experienced sale team. We are reliable and responsible for an all-around service we can provide to every customer. and will constantly produce more high-quality waste to energy machines for the whole world. Since the foundation in 2013 till now, Beston has grown to a strong international waste to energy plants manufacturer and supplier with 20-year experiences in foreign trade. The waste to energy plant designs is widely recognized across the world. Over the decades, the influence of Beston waste to energy machine has radiated to many countries and places. You can find Beston waste to energy projects in Thailand, the Philippines, Indonesia, Canada, Australia, Romania, Hungary, South Africa, Turkey, Uzbekistan, etc. We don’t only pay attention to the high quality but also offer reasonable cost of those plants. We sincerely hope there are more people in the world to know us, visit us and use our machines to protect the resources and environment of the planet.